TGIF! Spring is here. Yes.it.is! I’m declaring it. I’ve been browsing through the Wicker Emporium website and looking for some great ways to freshen up my house. 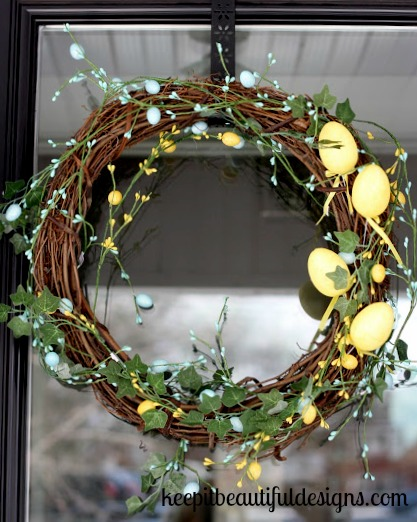 I’m a guest blogger Wicker Emporium and have created a post on ways to freshen up your home. Adding touches here and there is a great way to get rid of the winter blues and add some oh-so fabulous looks. 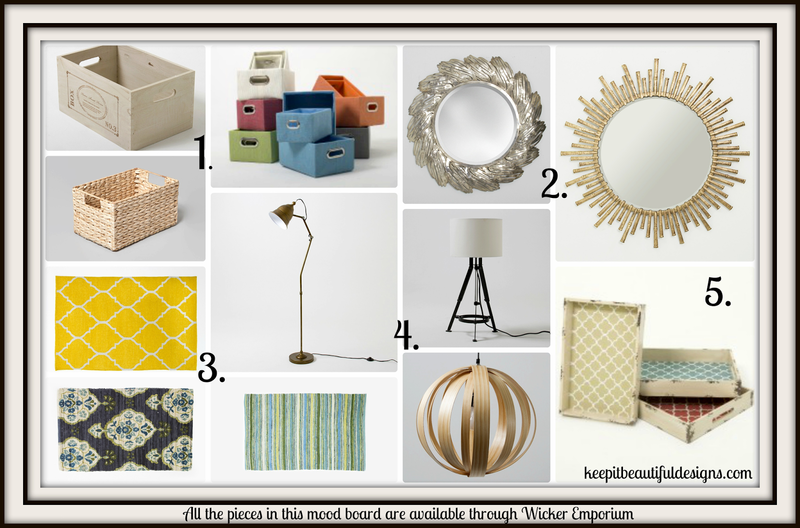 All the items that you see here on my mood board are from the Wicker Emporium and you can find them on their website or by heading into their stores. Baskets are one of my go-to items for not only keeping things organized but I also use them to finish off a space in a room that needs “something”. 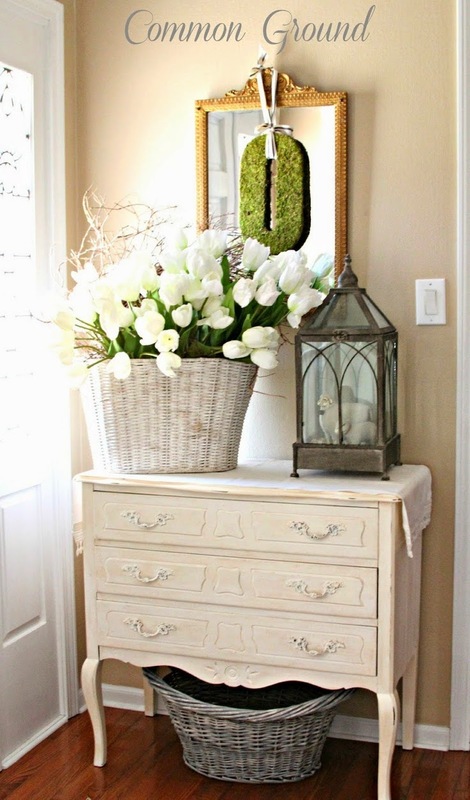 For example, the space underneath a hall table is fabulous for baskets. It allows you to store items such as hats and the dog leash, as well as, gives the space dimension and texture. Baskets also work beautifully in your linen closet. Instead of stacking your folded sheet sets on top of one another, place them in a basket. They’ll stay organized and the clean lines of the basket will make your drab linen closet look great. I also love using baskets in kids’ rooms for storage. Often times there is a lot going on in kids’ rooms so if you want to use multi-coloured baskets, I suggest staying with the same textures. This will create cohesion. Mirror, mirror on the wall. Mirrors aren’t just for checking out your outfit before you leave the door. Mirrors are a great way to freshen up your space, create depth and bring light in. Oversized mirrors in a small space are one of my favourite ways to freshen a space….total impact! Grouping a number of small mirrors on a wall is also a great way to add character to a space. Rugs are a great way to freshen a space. It is amazing what a fresh new rug can do to a room when you’re used to looking at a wooden floor. Rugs add depth and when done properly, can make your room look larger. Tip: if you are looking for an area rug, make sure all your furniture is touching a piece of it. Rugs can also add impact in small spaces. Try adding a bright new rug to your front hallway or in the kitchen under the sink area. 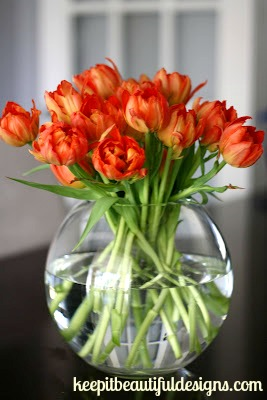 This is a great way to add colour and bring spring indoors. One of the things I tell my clients, is to plan for fabulous lighting. Lighting is like jewelry on a fabulous outfit. The jewelry either makes the outfit stand out or ties it all together. Your lighting can define and set the stage for the room or it can bring the elements of décor together. I love a beautiful tray. Gone are the days where trays were only used for serving your guests or if you’re really lucky, getting breakfast-in-bed. 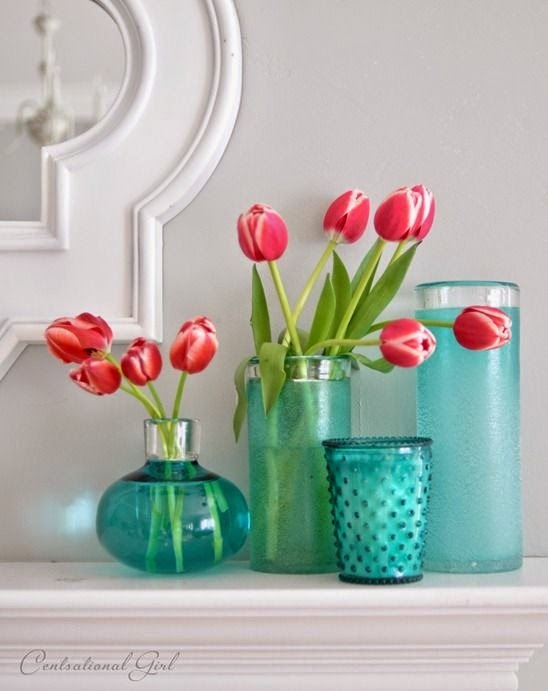 Think about placing a gorgeous tray on your coffee table and stacking a few fabulous “coffee table” books and a small bud vase filled with tulips. Trays also look really great for creating a “coffee bar”. Keep your sugar and mugs on a tray. I guarantee you’ll love the extra dimension. Spring is here and it’s time to open those windows and add some easy, fresh dimensions to your home to create a fresh.fabulous.sophisticated space. So just when we thought Spring was here, Mother Nature decided to throw us another wintery blast. What? How can it be mid-April and snowing? Total craziness. Fingers crossed that my kids will be hunting for their Easter eggs in short sleeves this weekend, not snow suits!! Even if there is a bit of white stuff on the ground I’m ready to ditch the winter décor and bring out the colour and lighter textures. 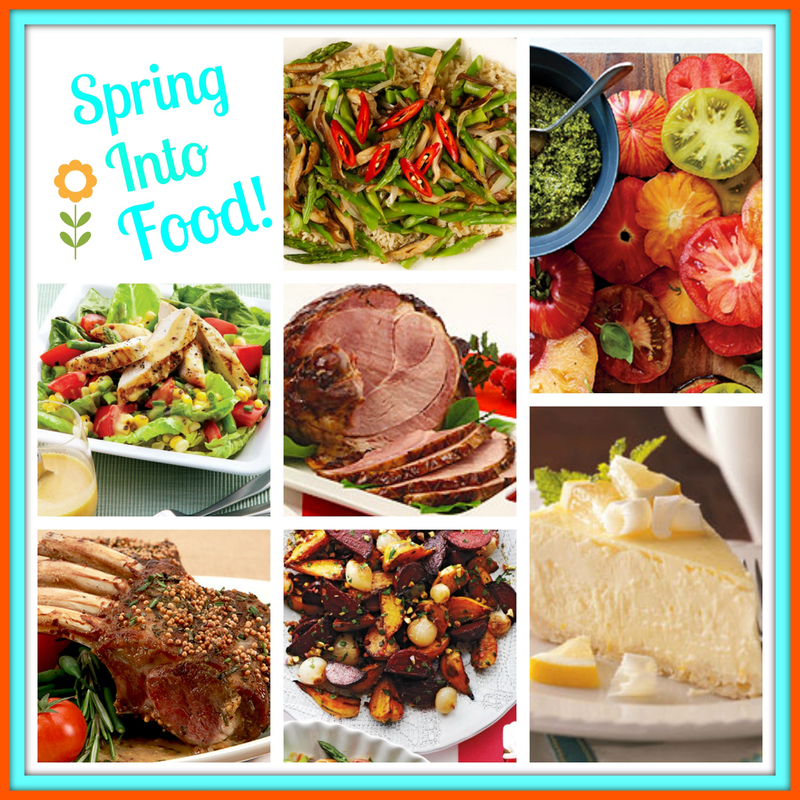 Here are 5 ways to welcome Spring to your door step. 3. Decorate your front hall. 5. Clear out the winter boot tray. April showers, brings May flowers. Put away those winter, salty boots and get out those Wellys. 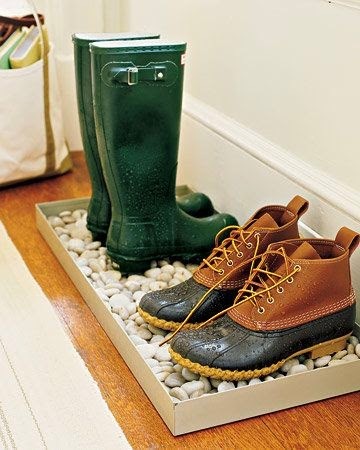 I love this river rock boot tray. I'm thinking a DIY is on the radar. 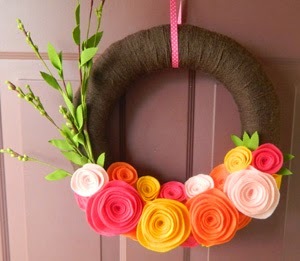 Have you decorated your entry way for Spring yet? I don’t know about you, but when my kids are getting a little “harry” and need some down time, I either turn on the TV or whip out the iPad to let them play games. I know, I know, it’s an easy fix but honestly, sometimes it just needs to happen. 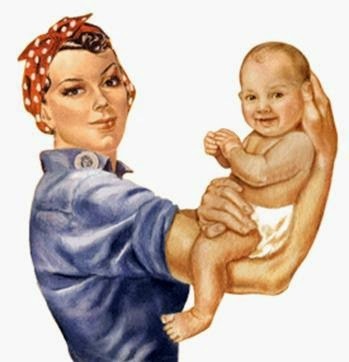 For example, the weekend before I had to go back to work, Mr. Fix-It had a wicked flu bug so I had to hold down the fort solo. With three little ones, a sick hubby and lots on my list to get done I needed the kids to have some down time. Kidoodle.TV saved the day! Heard of Kidoodle.TV? Essentially, it’s a website filled with shows that kids love and parents have control over. There are kids’ sitcoms, nature and wildlife shows and an educational series from a variety of sources. The parents create a profile for each child and can select which shows their children can watch or not watch. Another thing that I really liked was zero ads. No commercials telling my kids that they need every toy under the sun! You can also determine the length of viewing time. So, if 45 mins is all you want them to have, then you can set it at the limit. Pretty cool eh? My kids love to use the iPad, so this way I know they are watching appropriate shows and they can work it themselves. Oh, and not only do they have some of my kids’ fav shows but there are some retro shows on there too. Remember Inspector Gadget? Jem? You can sign up for free to try it for 14 days. Wouldn’t this be great for travelling? Yes please! If you like it, you can enter in this promo code MCC25 and get 25% off a year subscription (offer expires June 30, 2014). Ooh, and Kidoodle.TV is giving away a tablet and a 1 year subscription on their Facebook page this month. Woot! Woot! Check it out via the link. How’s the week going? It’s day 3 of being back to the office and so far so good. We’re all still transitioning into the new routine but it’s going to take some time. One of the hardest things has been getting dinner on the table before the kids melt! Meal planning and having food ready to go is definitely key to keeping everyone smiling. Need to put my thinking cap on. Have any suggestions? Let me know if you make any of these! That roasted beets recipe is sounding like a fresh.fabulous.sophisticated side dish at Easter! Delish. Also want to say a Happy Birthday to my gorgeous girlfriend Robyn! XO you! Today is a special day in our house. 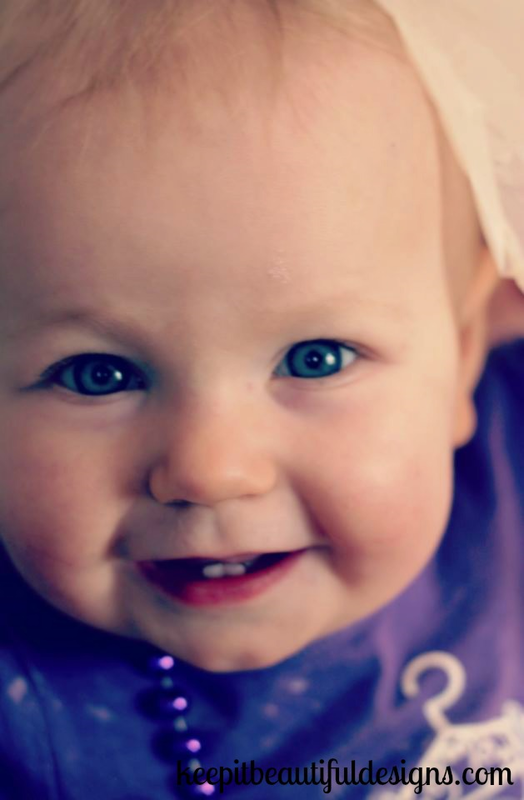 Our baby girl is one! How did that happen? How did a whole year go by in a blink of an eye? She is beautiful, delicious, happy, snuggly, feisty, soulful, feminine, loves her brothers, attached to my hip and melts her Daddy's heart. She is perfect. To celebrate her big day, I made these cupcakes. They are easy as 1 2 3! 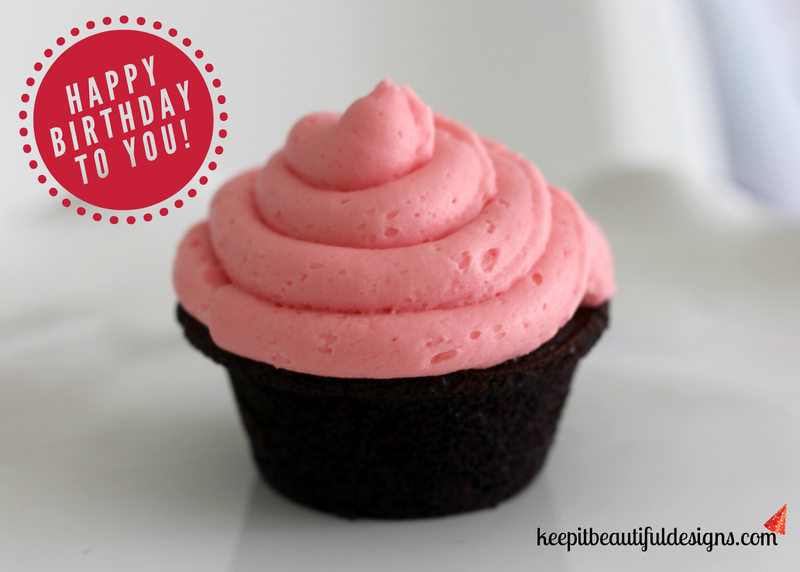 If you are looking for the easiest cupcake and icing recipe, then tuck this in your recipe book! In large bowl, whisk together flour, sugar, cocoa powder, baking soda and salt. Whisk in coffee, oil and vanilla; stir in vinegar. Spoon into paper-lined or greased muffin cups.